Some folks just seem to have a knack for creativity. Take Corie Ball, winner of two Furniture Flip awards last year: Her professional background is in retail; however, she definitely has an artist’s mind-set. This year, she’s once again partnering with Larry Heath (whom she’s known since high school) for her Furniture Flip projects. Heath’s experience as a painter and carpenter are invaluable. One thing you’ll find in much of Corie’s work: a bit of whimsy. She’s looking forward to this year’s Flip event. In their popular Bend showroom, the design team from Bend Furniture & Design (Heather Cashman, Danielle Groves, Holli Stubblefield and Sophie Cashman) provide a more personalized design focus -– what they call a “boutique experience” — in contrast to the large big-box retail stores. Their focus is on Northwest Modern, with clean, simple lines and warm, friendly colors. Before opening Bend Furniture & Design, owner Heather Cashman was involved in fashion design (she designed and manufactured a women’s accessory collection that was sold all over the world). She and her sister Holli grew up in the furniture business; their uncle owned a large furniture manufacturing company back in the Midwest. And although you might not expect to find an upscale furniture design outfit eager to tackle an up-cycling project, sustainability is a prime concern of this team: The store carries a full line of eco-friendly furniture pieces. They also welcome the opportunity to repurpose something for another use. For more info, contact Bend Furniture & Design at 541-633-7250 or www.bendfurnitureanddesign.com. By day, Cahail is the wedding coordinator for Tate & Tate Catering. In her spare time, she also loves to host “crafter-noons,” where friends gather to socialize and work on craft projects together. Lisa Fetters is a home design veteran: She was the lead designer at Northwest Home Interiors in Bend (formerly Mountain Comfort) for almost 15 years. Even so, she says she’s always been a “junker” at heart. About a year ago, Fetters opened her own design company, called “Soulful Interiors.” She also runs a business known as “Turquoise Tailgate” (named for the distinctively hued vintage pickup truck that serves as its mascot), which takes faded and chipped vintage treasures and repurposes them into revamped furniture pieces and home décor. Her partner for much of her work is her sister, Jill Byers. “Jill does it with me because she can’t get it out of her blood, either,” Lisa explains. The duo, longtime fans of the HGTV show Flea Market Flip, jumped at the chance to participate in the ReStore event. For more info, call 541-610-8316. Joining Chris for this year’s Flip are four other CUP team members: Richard Nesslein, Dee DeAngeles, Kevin Colussi and Kathy Parenteau. Rhonda and Don Barney, owners of Sisters-based Grizzly Ridge Upcycle, couldn’t be better suited to taking on the Furniture Flip challenge. “We’ve have been do-it-yourselfers forever, and we both love to up-cycle stuff,” Rhonda explains. “We’ve always had one project or another going. I like to paint furniture, and when I couldn’t find a place to sell it, Ron and I brainstormed and decided to open a shop of our own. As for their own up-cycled designs, Rhonda says, “I like painting furniture and putting things together; and my husband is better with power tools and that kind of stuff. You could call Jeanne Keith the Junk Queen. I don’t even think she’d mind. She is, after all, in the business of selling ‘junk.’ Actually, she has so much ‘junk’ that she’s launched three different businesses: The Garbage Gnome (a property cleanup company that specializes in doing the work no one else wants to do); Jeanne’s Junk (an eclectic collection of items from The Garbage Gnome that are reclaimed and recycled); and Industrial Reclaim (mostly industrial-style furnishings that Jeanne refurbishes and resells). Her goal: “We just try to keep things out of the landfill,” she says. Jeanne’s passion for ‘junk’ goes back to her days of handling construction cleanup. Meanwhile, the demand for ‘junk’ seems to be on the rise. A participant in last year’s Furniture Flip, she’s happy to be back for an encore. For more info, call 541-480-8654 or visit www.facebook.com/JeannesJunk. It certainly isn’t every day that Dawn Smith and Michele Schnake, two of Bend-based Legum Design’s interior designers, contemplate ways to reuse discarded, often outdated materials. Their mission most days is to work with clients throughout the Pacific Northwest to create sumptuous, sophisticated custom room designs. For more info, call 541-306-6073 or visit www.legumdesign.com. At first glance, Colene Lord & Adam Snyder may not seem like the obvious participants in the Furniture Flip. For more info, contact Adam Snyder at 541-480-3798. Mark and Charmaine Manley have been creating functional art and furnishings from salvaged items for almost three decades. They’ve both shopped at and donated items to local ReStores for years, so participating in the Furniture Flip seemed like a natural fit. Mark’s artistic flair found a home in blacksmithing over two decades ago. His business, Manley Metal Works, produces high-quality metal pieces in a variety of forms, including home furnishings, garden, ornamental and architectural items. Charmaine focuses on residential interior design with her award-winning business, Charmaine Manley Design. One of the duo’s largest projects to date involved completely gutting and remodeling their current home with a focus on sustainability. A lot of time was spent at the Redmond ReStore. Read a blog post about it here. For more info, contact Charmaine at (541) 923-9951. Mike Ross, owner/president of Natural Edge Furniture, has called himself “a tree-hugger with a chain-saw.” His specialty: creating custom-made furniture from salvaged, reclaimed and recycled hardwood materials. The basis for his creations: hand-selected, air-dried wood slabs of wood found in the Pacific Northwest. The idea of sustainability is key to everything done at Natural Edge: All of its lumber is from trees that are storm-damaged, windfalls or trees that need to be removed because of age, insect damage or size. Often the trees are a hazard and need to be removed, regardless of what happens to the lumber. By largely air-drying its lumber, they eliminate most of the consumption commonly used to get lumber to the point that it can be worked with. The company also recycles 100 percent of its paper materials, cardboard waste, sawdust and chips. For Mike, it’s a way of life. Perhaps that’s what motivated him to participate in the Furniture Flip (this is his second year). For more info, call 541-728-3555 or visit www.naturaledgefurniture.com. 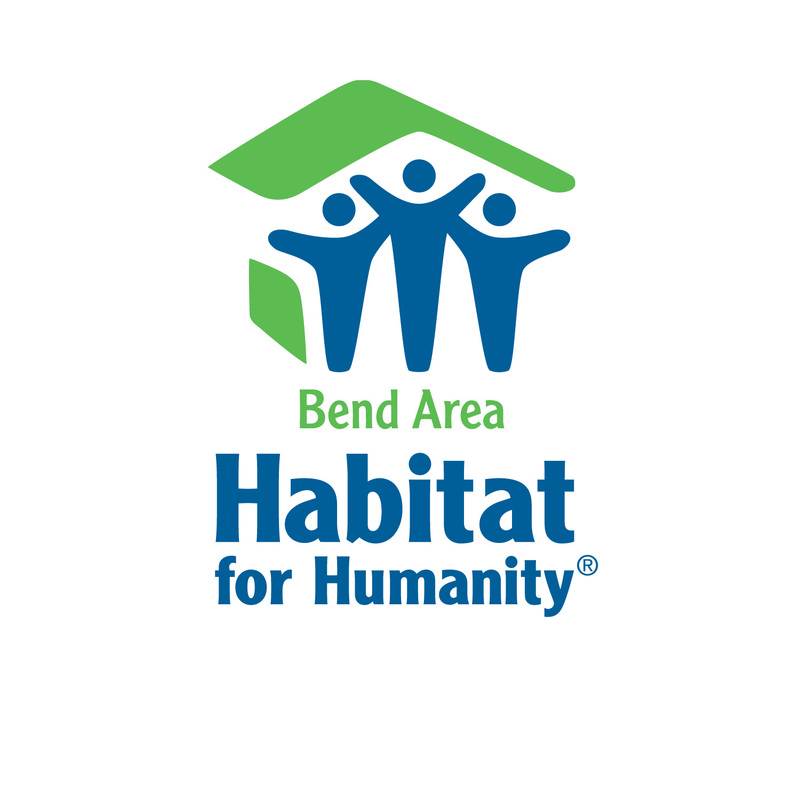 Fans of the distinctive Bend Area Habitat ReStore building should be especially familiar with their work: The Stemach Design team donated many hours and a tremendous amount of creative effort in overseeing the transformation of the former Backstrom Builders site into the current ReStore. A few Stemach touches at the ReStore: the undulating exterior cedar-plank siding (made from reclaimed cedar decking); the custom chandelier made of reclaimed wood and copper piping that greets visitors in the store’s entryway; and the former metal roofing reused as siding. This is the second year that Stemach owners Stacey and Rachel Stemach have participated in the Flip. She decided to participate in this year’s Flip for two reasons: She’s a big supporter of Habitat for Humanity; she’s also an avid up-cycler.